Experience Festa della Repubblica Italiana in Rome with Avventure Bellissime! Just as travellers might want to spend Canada Day in Ottawa on July 1st, Independence Day in the United States on the Fourth of July, or Australia Day down under on January 26th, imagine the party spending Festa della Repubblica Italiana in Rome on June 2! Anyone enjoying Italy vacations that coincide with the Festival of the Italian Republic can expect to join the national celebration in the country known for good food, excellent wine, and people who love to spend time with family and friends. Enjoying life in the Bel Paese (the Beautiful Country) is even more fun on a public holiday in the nation’s capital city! 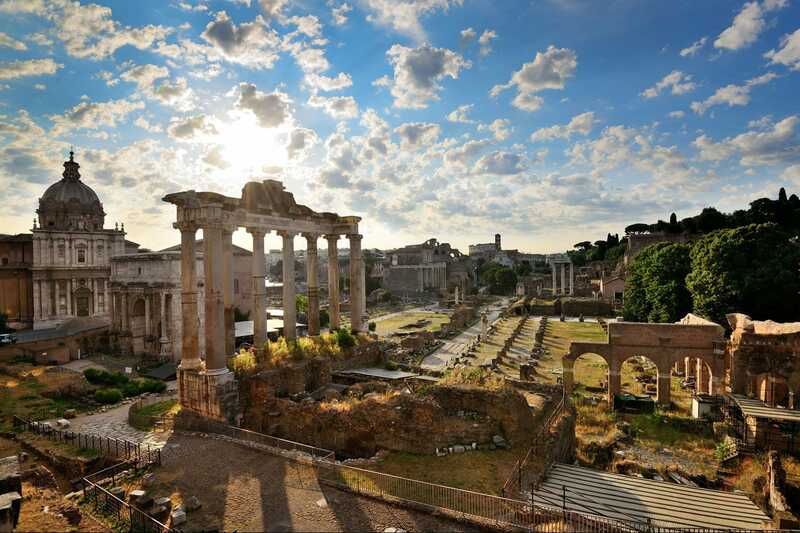 The city of Rome has seen its share of rulers and styles of rule from ancient times throughout the ages. In recent history, Italy was ruled by the House of Savoy starting in 1861. Many people will remember, too, that the National Fascist Party ruled Italy from 1922 to 1943 under the totalitarian leadership of Benito Mussolini before he was overthrown. This public holiday celebrates the date in 1946 that a majority of war-weary Italians voted to end the monarchy and become a republic – an independence day in other words – that sent the descendants of the ruling House of Savoy into exile. Italy remains a proud republic to this day and on June 2 citizens across the country celebrate the Festa della Repubblica Italiana. Post offices, schools, government offices, and banks close for the day and everyone celebrates their beautiful country – with the biggest party of course in Rome, the capital city. You can imagine how the citizens take to the streets for a huge public holiday - families and people of all ages filling the piazzas and cafes, enjoying a day off work to celebrate freedom and democracy. A central focus is a grand military parade, held right in the centre of Rome and presided over by the president and a host of other dignitaries. A wreath is laid at the Tomb of the Unknown Soldier, which is inside the Altare della Patria. This monument of located at the central Piazza Venezia, an historic square that lies at the foot of Capitoline Hill. What is fascinating with the Eternal City is that everywhere you step in Rome, you step where centuries of people before you have trod. Capitoline Hill is one of seven hills in the city and was an important site for the ancient Romans. For an up-front and personal interpretation of Rome, Avventure Bellissime’s Rome walking tours will take you through all the most historic spots of our spectacular capital city. There is no better way to appreciate the art, architecture, and culture of this magnificent city than to understand the history behind the artists and their work, the walls and ruins, and the people and politics. Expert licensed guides will take small groups on tours of ancient Rome, including the Forum and skip-the-line tickets for the Colosseum. If you’re intrigued by the ancient past, consider booking a small group walking tour of the catacombs and underground Rome, which includes a drive to several historic churches along the Appian Way and many exciting subterranean discoveries. Looking for something a little different? Our private Rome Ghost walking tours are very popular for all ages who like to contemplate the legends and stories of some of the many characters who have called this city home. Of all our many Italy and Rome walking tours, the Small Group Vatican and Sistine Chapel tour is a favourite. When you come to Rome you simply must see the rich treasures of more than 2000 years of history housed in the Vatican Museums. Our expert guides are fluent in English and will interpret the rich meanings and symbols of the art and regale the group with stories of the people behind the construction of the Sistine Chapel and St. Peter’s Basilica. Plus, with our tour travellers skip the line so you spend more time touring and less time waiting. Interested to join the festivities at this year’s Festa della Repubblica Italiana holiday? Enhance your Italy vacation packages with unforgettable Rome tours that receive consistently high rankings on TripAdvisor. Contact the Avventure Bellissime team for help to plan your next Italy trip, Rome tours, and other exciting Italy excursions.